Come on baby, let's do the twist! Up to ten people can get a chance to get twisted up like pretzels on our throwback game to the 60's. 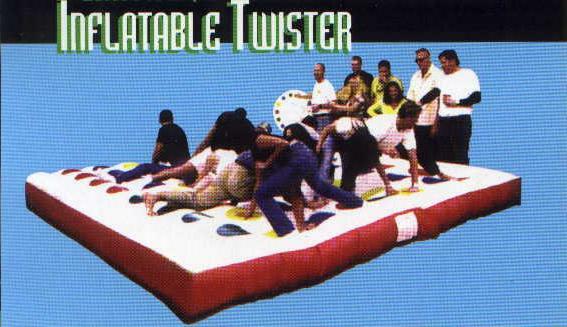 Twist into your mate or fall onto the inflatable.